The FBI is no nobler an institution than Wendy’s, the hamburger chain. The FBI is not a living thing. It's an institution. And institutions are neither inherently noble or corrupt, any more than the DMV is inherently noble, or your local supermarket, selling bagels and cereal. 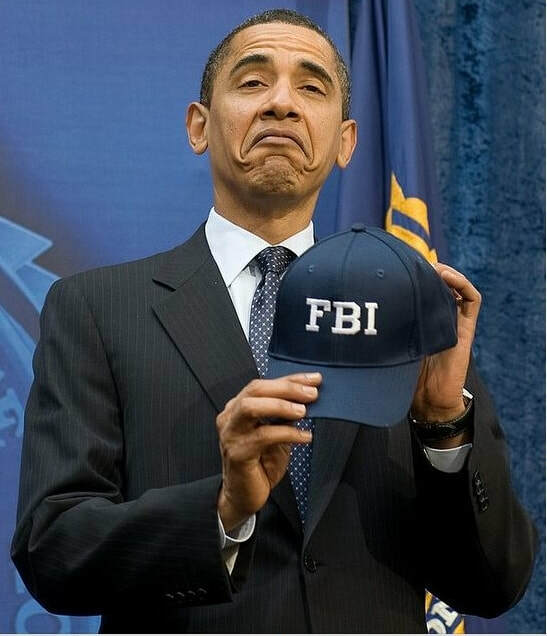 The FBI is, however, the foremost domestic investigative body on earth, a fact ignored completely by the Democrats and the press when it suits them. For instance, when the former head of the FBI, James Comey, reopened the investigation into Hillary Clinton, days before the last presidential election, both the institution, and it’s head, were vilified relentlessly for costing Hillary the election. All of that changed when President Trump fired James Comey. Then, Comey and the FBI became so noble as to be near-religious icons. Clearly, they were victims of Trump’s corruption, as he tried to hide his shady connection to Russian spies. Had either the press or the Democrats really believed in the integrity of the FBI or James Comey, they might’ve given some credence to their findings, regarding Trump and Russia. Which was, "There is zero evidence of collusion between Trump and Russia. NONE!!!" This, they ignored, totally, completely. And, instead, turned to the media for solace. “They’ll find Trump guilty!” cried the partisan Democrats, who had no interested in justice, unless justice meant finding Trump guilty. That was the only version of justice they were interested in. So MSNBC, The New York Times, The Washington Post, and myriad others, carried on with the Trump/Russia conspiracy theory, without regard for the FBI’s evidence. If the FBI’s 35,000 agents and 8.5 billion dollars a year budget couldn’t find collusion, surely a cable news network, with the operating budget of your average 7/11, could be trusted to find evidence of collusion. This was especially true if they ignored any and all contrary evidence, which they did like a horse wearing blinders. Tunnel vision is what’s needed, in such cases. Peripheral vision is the enemy of selective justice, which isn’t really justice, at all. It’s damned handy for political purposes, though. As far as the inherent nobility of the FBI, older observers remember that J. Edgar Hoover, the primary architect of the FBI—and the most powerful head of the institution ever—used the agency to spy on Martin Luther King, while trying desperately to destroy King and the early civil rights movement. This included using his connections in the media to malign King as a communist, implying that he was a tool of the Russians. It also meant spying on any reasonably high profile American who disagreed with Hoover's politics, including John Lennon, whom Hoover kept a dossier on. Lennon and King were just two, in a long list of individuals that the agency, under Hoover’s watchful eye, spied on. J. Edgar Hoover was hated and feared, equally, by politicians, even presidents, who understood that Hoover had dirt on everyone. Which, he’d threaten to use, should any president seek to replace him as the head of his beloved agency. None ever did. Apparently, Hoover was a closeted gay man, which came to light after his death, as did his lengthy enemies list. This could be the Left’s out, enabling them to rehabilitate Hoover and his version of the FBI. After all, he was probably just a victim of homophobia so any and all crimes can be swept away and redefined as acts of defiance against America’s homophobic past. I can imagine a stamp, commemorating Hoover as a great gay American forefather, like George Washington, only wearing a dress, which Hoover was said to do, as well. None of this is intended to impugn the tens of thousands of workaday FBI agents. Just the corrupt few, the political appointees, who serve the interest of their masters. Not the American people. In that sense, any institution can be compromised and politicized. That is the version of the FBI which is in question. The rest of it, the endless harangues against those who’d dare to question the integrity of Andrew McCabe, James Comey, Peter Strzok or Robert Mueller, is smoke and mirrors—pure political theater—and for purely political purposes.